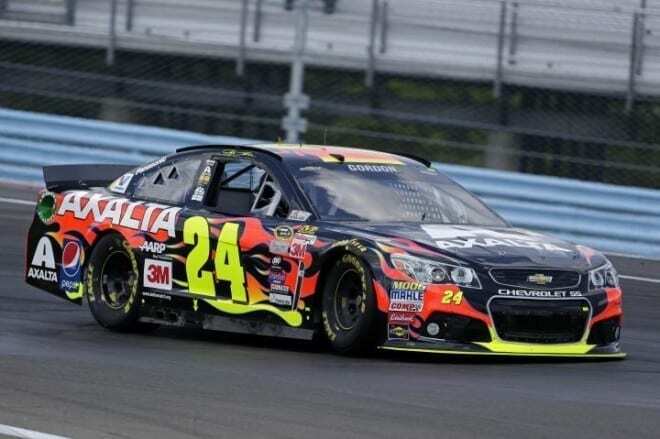 Sprint Cup: Oh, What Might Have Been… Watkins Glen is sold every year as the last regular season “wild card” race, the last place an underdog can work his way into the Chase under the right circumstances. There were high hopes entering the weekend for defending winner AJ Allmendinger, Tony Stewart, Jeff Gordon and a host of others to break through into Victory Lane and punch their ticket straight to the postseason. Instead, we saw these teams, a step behind the Sprint Cup elite this season buckle under the weight of expectations. Allmendinger, leading the first 20 laps lost the handling, then his mental stability and eventually the power on his No. 47 Kroger Chevrolet. Slumping to a 24th-place finish, he snapped at his crew on the radio and showed obvious dejection after recognizing how badly his team performed under the pressure of it all. Stewart, starting inside the top 5 on a difficult weekend – Kevin Ward, Jr.’s family filed a wrongful death lawsuit against him – never could really get going. He was barely hanging on inside the top 10 before his rear gear gave out and became the race’s only DNF. Jeff Gordon, too struggled with the handle until a faulty brake line put the brakes on his victory chances. The two winningest active drivers on road courses wound up 43rd and 41st, respectively. XFINITY: Fists Up at Watkins Glen – Well, Watkins Glen wasn’t exactly what anyone expected for the XFINITY Series. There wasn’t as much action as in the past due to the Team Penske dominance. Demolishing the field is probably an understatement for what Joey Logano and Brad Keselowski did on Saturday afternoon. But in the midst of the race, chaos erupted between a few Richard Childress Racing drivers and the rest of the field. The main incident involved Ty Dillon and Regan Smith – the second time over the past 12 months that the two collided. Heading into Turn 1, Dillon essentially dive-bombed into the corner, taking out one of the championship contenders. For someone as calm as Smith, seeing him put his fists up was quite the scene. NHRA: Two Out of Three – None of the drivers came up with the Western Sweep this year, but Jack Beckman and Chris McGaha finished it out with two out of three. You could make an argument, however, for a sponsor sweep, as Terry Chandler, who sponsors both Jack Beckman and teammate Tommy Johnson, Jr. on behalf of Infinite Hero (Beckman) and Make-A-Wish (Johnson), got the first two legs with Beckman and the final this weekend at the NHRA Northwest Nationals with Johnson, Jr.
Johnson, Jr. took the win in Funny Car over Del Worsham with a pass of 4.073 seconds, 308.00 mph to Worsham’s 4.042, 307.51 mph. Johnson also got by Paul Lee, Chad Head, and teammate Beckman before facing off against Worsham in the final. It’s his second win of the season. J.R. Todd has found much of 2015 rough going so far, but got things turned around with a win in Top Fuel in Seattle. Todd came up against Shawn Langdon in the finals and took the win with a 3.824 second, 323.04 mph run to Langdon’s 3.902 second, 307.51 mph. Todd beat Clay Millican, Terry McMillen, and Tony Schumacher in the earlier rounds. IndyCar: Hot Streak Sees Rahal Become Title Favorite – With the 2015 Verizon IndyCar Series nearing the Aug. 30 finale at Sonoma Raceway, the championship points battle has become a three-team race. Two of the teams come as no surprise. Juan Pablo Montoya, a successful journeyman across many forms of open wheel racing, has ridden a strong start and an Indianapolis 500 win to the points lead for Team Penske. Scott Dixon, the IndyCar equivalent of NASCAR’s Jimmie Johnson, is within 35 points due to two wins and incredible consistency down the stretch for Chip Ganassi Racing. Montoya and Dixon were expected contenders going into the season. Graham Rahal, however, has been a surprise. Despite never finishing higher than seventh in his first six seasons of full-time competition, Rahal’s run of four-straight top-four finishes, including two wins at Fontana and Mid-Ohio, has helped him close to within nine points of Montoya for the points lead. As the field prepares for their final two races, Rahal’s consistency has established himself as the favorite. After starting the season with two wins and four podiums in five races, Montoya has failed to reach the podium in eight-straight events. Dixon’s consistency has seen him finish inside of the top 10 in 10 of the last 12 races, but a 35-point gap leaves Dixon without any margin for error. Short Tracks: Shane Stewart Claims the Ironman – After winning the Kings Royal earlier in the season, Shane Stewart added another one of the biggest races on the World of Outlaws Sprint Car Series schedule to his resumé on Saturday night. Stewart worked his way past polesitter Kerry Madsen and Donny Schatz to claim the Federated Auto Parts Ironman 55 presented by Walker at Federated Auto Parts Raceway at I-55 on Saturday, his first-career victory at the track. Stewart claimed the $20,000-to-win race from the third position, taking the lead for the first time from Schatz on a lap-44 restart. Stewart would wheel his No. 2 Larson Marks/Eneos/GoPro car to the victory from there, holding off Schatz on a lap 47 restart and cruising to the victory. Racing journeyman and NASCAR K&N Pro Series East regular Rico Abreu worked his way from the ninth position to finish in second in the 55-lap event. Abreu also competed in a POWRi Lucas Oil National Midget Series feature earlier in the night. Schatz, the current championship points leader, came home in third after leading earlier in the night, ending a 19-race streak of top-two finishes. Schatz maintains a 365-point lead over second-place Stewart in series points, with 22 wins and 42 top-5s on the season. Sports Cars: Change is on the Horizon – On Saturday, IMSA CEO Ed Bennett held a State of the Series speech at Road America where a number of announcements were made that will affect the future of what is currently known as the TUDOR United SportsCar Championship. Note that the word “currently” was used. Firstly, Bennett announced that WeatherTech, an Illinois-based manufacturer of accessories mainly for automobiles (floor mats, mud flaps, etc.) will take over as the title sponsor of the series, effective November 1. At that point, the series will be known as the IMSA WeatherTech SportsCar Championship as a result of the multi-year deal. TUDOR, which WeatherTech is replacing as title sponsor, will remain heavily involved with IMSA. A separate deal announced Saturday will see TUDOR serve as the official timepiece of IMSA through 2025. Secondly, the schedule for the 2016 IMSA WeatherTech SportsCar Championship was released Saturday. The best way to describe it would be using the Old School rules for model walkoffs, as David Bowie described it in the 2001 film Zoolander (“First model walks, second model duplicates and elaborates”). There are still 12 race weekends on the schedule. Prototype teams will have ten races, while the other three classes will have 11. The same 12 tracks will be visited in 2016, in the same order as they will have and will be visited this year. However, there have been additions to the class lineups at several races, though. Long Beach (a Prototype/GT-Le Mans race) will have Prototype Challenge added. The Canadian Tire Motorsports Park race in July will have all four classes with the addition of GT-Daytona. Finally, Lime Rock Park (a PC/GT-Daytona race in 2015) will have the GT-Le Mans class added in.